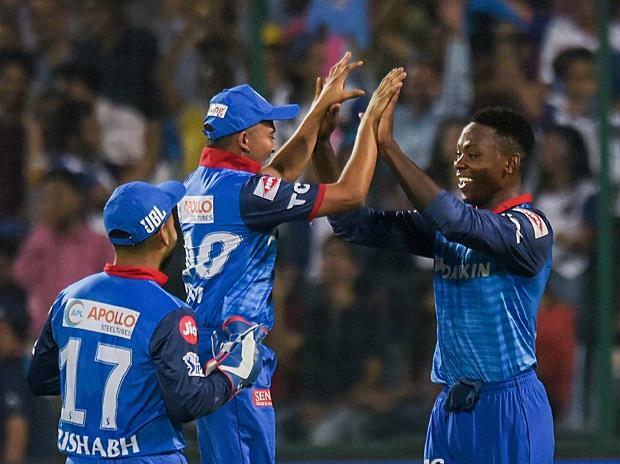 It was a joy for the fans as the game between the Delhi Capitals (DC) and the Kolkata Knight Riders (KKR) at the Feroze Shah Kotla in New Delhi went into the Super Over, but DC skipper Shreyas Iyer rightly pointed out that it was a game that the home team should have finished well before time. "Definitely a long day at the office. We didn't expect it to go that deep, expecting us to finish it in the last or second last over; but credit must go to Kuldeep Yadav for that over, taking that pressure and getting through," he said. Crediting Andre Russell for playing another blinder, Iyer said: "You can't control Andre Russell when he gets going. A team needs a player like him who can swing from the first ball itself. "Even his mis-timings go for sixes and even the bowlers find it tough to plan against him when things don't go to plan." Iyer said that the DC batsmen had decided that whoever gets set will try and see the team home. While that didn't happen, Iyer was all praise for Prithvi Shaw for his majestic 99. "All our top-four batsmen decided that whoever gets going should take the side home, and Prithvi Shaw took that responsibility and executed it for us. He's got a lot of talent and hopefully he can continue doing it for us and keep giving us such starts in every game. "I am really happy that all of us are taking the responsibility and contributing really well; really happy with myself as well because I told myself that I won't let the pressure come onto me after a few dots," Iyer added. Commenting on Kagiso Rabada's execution of the yorkers in the Super Over, he said: "Kagiso is a belter of a bowler and at his pace it is tough to hit him. I had a chat before the super over and he told me that he would go for yorkers all through, first, second, third, fourth, every ball. The first one didn't come off well, but the way he came back takes some special skill to execute." KKR skipper Dinesh Karthik also praised Rabada for executing the plan well, but also had a word of encouragement for his own Super Over bowler Prasidh Krishna. "I think it was a great game, both teams fought pretty well. It went to the Super over and they came out on top. I think Prasidh has been bowling consistently for us at the death, it was a straight forward decision to make. And I think he bowled really well. He has been bowling the tough overs, so we need to back him. It was a topsy-turvy kinda game," he said.